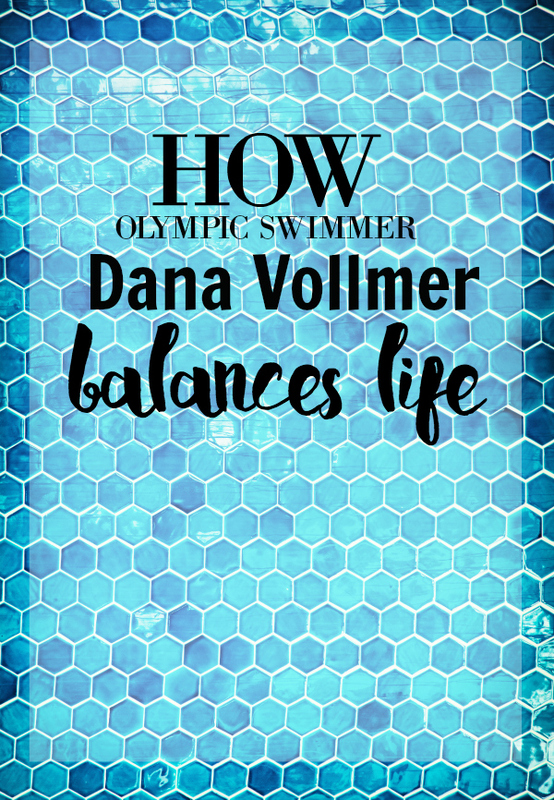 Olympic swimmer Dana Vollmer was determined in getting back into swimming after her son Arlen was born. She wanted to help her son recognize the importance of hard work and get inspired from a young age. 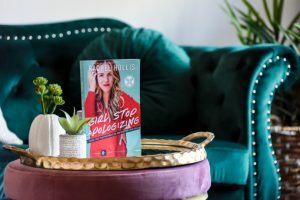 She also wanted him to grow up seeing his mom achieving her dreams as a competitive swimmer, with the hope of igniting his own passions for success down the road. 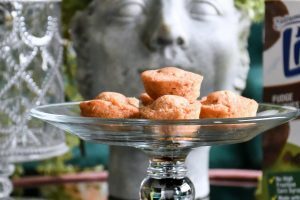 Life can feel like a “one woman circus” for many moms at times since it is a constant juggling act of balancing motherhood, marriage, a career, and home. That’s why Dana recently divulged with Pampers on how she balances it all. 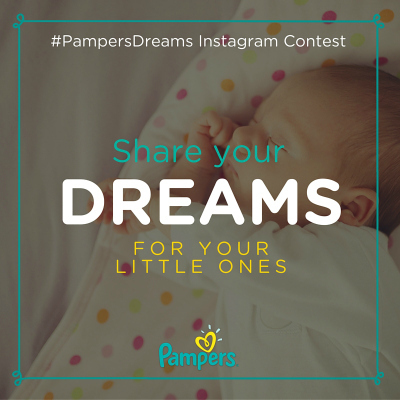 The #PampersDreams Instagram Contest is taking place between now and June 30th. The winner will receive a $400 AMEX gift card! 2. Follow Pampers on Instagram. One winner will receive a package of Pampers diapers and a $50 Babies R Us Gift Card. Please note that entrants are only eligible to win one #PampersDreams prize package from participating bloggers. What are your tips for living a well-balanced life? This post and giveaway were made possible by iConnect and Pampers. I was compensated for my participation in this campaign, but all opinions are 100% mine. I think it is important to take the time to exercise to feel healthy even when you have a busy schedule with kids. I make lists and goals and try to stay on task and be organized. I make sure to eat a healthy diet with plenty of fruits and veges and drink a lot of water because it really helps with fatigue and is energizing. I put lemon in my water! Make sure to carve out time to relax. My tips for living a well balanced life is to use a calendar to stay organized, and eat a healthy, well balanced diet to make sure you have the proper amount of energy to get through each day! My tip is to schedule regular exercise and self care activities into your schedule. If you set aside time for it, you are more likely to do it. It’s good to make some time for yourself as well as others. I try to take time to walk a half hour every day even when I am busy. I think it is important to eat right, get plenty of rest and take a few minutes to do something you love each day. I like to try and balance my priorities. lots of family time, exercise and I like to make time for some me time as well! It is really important to me to eat healthy and take time out each day to do something you love to do. What I do to stay balanced is to work hard to leave the office at the office. I come home, change my clothes and take 5 – 10 minutes to shift gears. I think daily exercise is essential in addition to eat light and healthy. My tips for living a well-balanced life would be to try to relax and not stress about things. It does wonders! When I get busy I try to stop and remember what’s really important, and that’s my family. I always make sure to take time for them, time goes by too fast. We try to stay organized which really helps. We also unplug and spend time outside with the kids. Love all the fresh air. We container garden and grow fruits and vegetables during the summer, and help raise monarchs! Last year we released over 100. My tips are to eat right, get plenty of rest and take a few minutes to do something you enjoy doing. 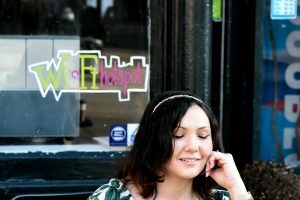 My tip is to spend time outdoors and with friends and family. Balance isn’t easy for me- I tend to be immersive in what I’m doing at the moment. This has benefits, but causes trouble too. I have begun to put slots in my calendar when I plan on doing something for me or by myself. I have found I need alone quiet time to recharge. Honestly, I’m not that great at living a balanced life- however, I am a stay at home mom to a curious and active toddler! I have recently decided to start scheduling in time to exercise alone. I think it will be great for my health and spirit! My tips are to drink tons of fluids, eat fruit and veggies, and exercise! I really can say that you need plenty of sleep.. You spend a big chunk of your life sleeping so you should have a comfortable bed, and make time for that ever so important sleep.. I think it’s important to balance family time and personal time. The moments of togetherness are just as importance as a few moments of quiet. I like to have enough time for recharge my batteries for relaxation. Have a support system, and don’t be scared to ask for help when you need it. You need to recharge your battery sometimes, too. Otherwise everything will come crashing down. Always take time for you. If you are not taken care of properly, you will not be able to take care of others. A tip for living a well-balanced life would be staying positive and being happy. My tip to live a well balanced life is to drink plenty of water and eat nutritious meals.